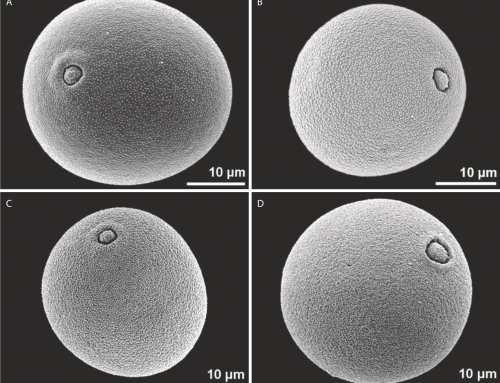 Dispersed pollen from phosphoritic nodules of early Oligocene age from Cospuden (Rupelian, Saxony, Central Europe) comprises six distinct types of Fagaceae belonging to four to five genera, three of which belong to extinct lineages. 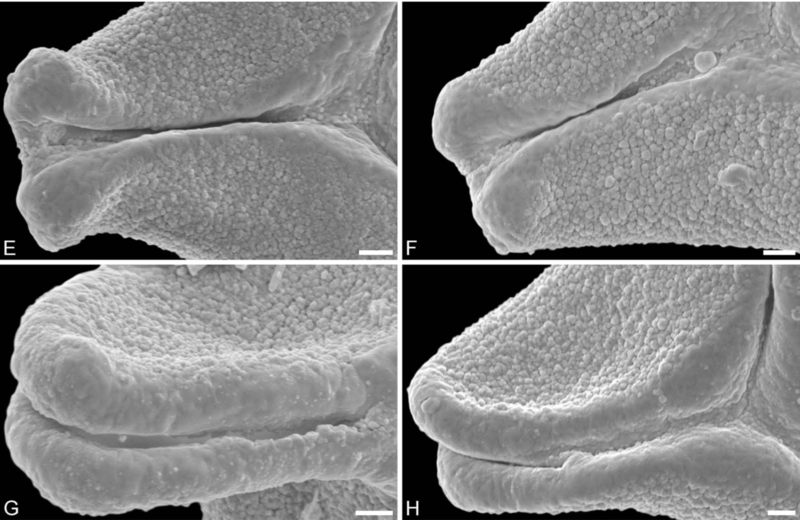 Eotrigonobalanus and Trigonobalanopsis have stratigraphic ranges from the Eocene to the Miocene and the Pliocene, respectively, and an unassigned fagaceous pollen type might belong to a lineage related to the middle to late Oligocene Amentoplexipollenites from North America. 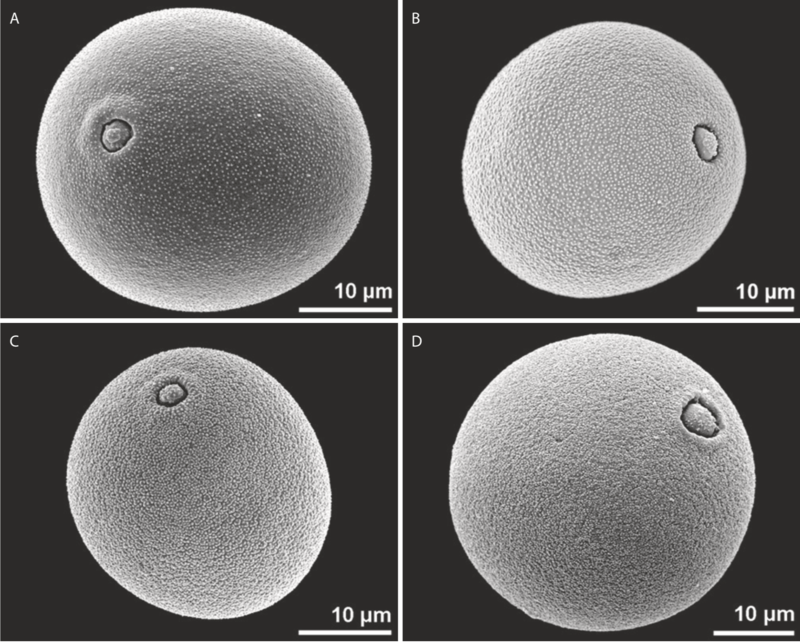 Also pollen of Eotrigonobalanus from Cospuden is strikingly similar to pollen attached to staminate catkins in middle to late Oligocene sediments from the North American Gulf Coastal Plain. Both types of pollen co-occur with foliage of the Eotrigonobalanus type (Dryophyllum, Berryophyllum). 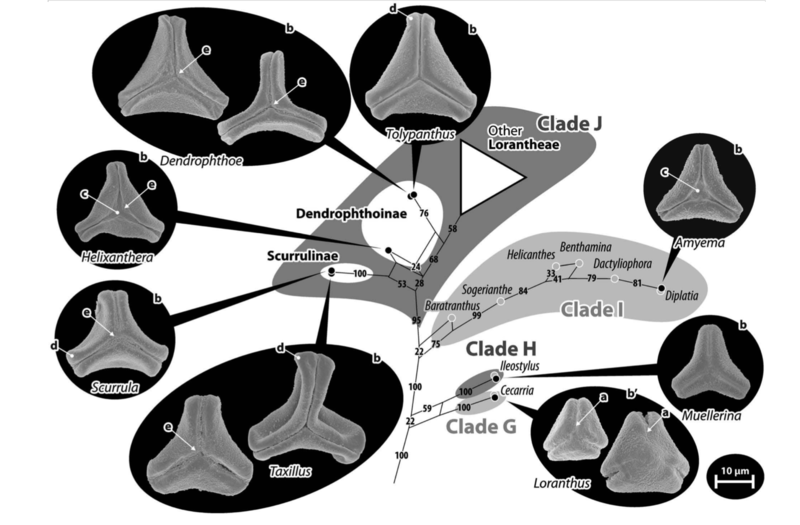 Furthermore, cupules and fruits from the middle Eocene to lower Miocene in Europe (Trigonobalanus andreanszkyi Mai) and the Oligocene of the Gulf Coastal Plain are structurally similar. 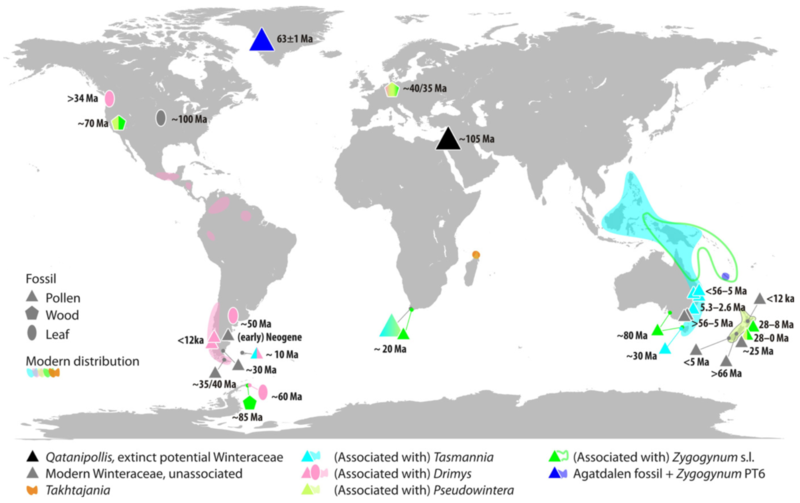 This suggests an intercontinental distribution of this extinct lineage of Fagaceae with migration across the North Atlantic. Trigonobalanopsis is endemic during the Cenozoic in Europe. Although present in late Miocene sediments of Iceland it has not been reported from North America. The extant genera Fagus and Quercus are not known prior to the Eocene. 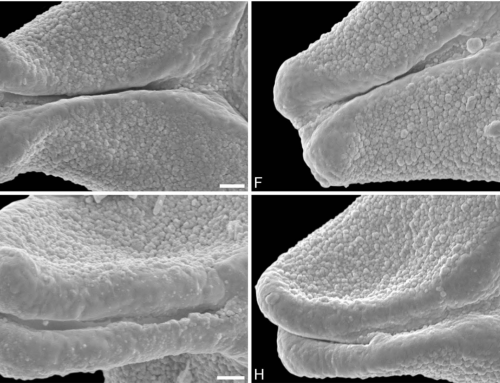 The unequivocal presence of Fagus in Rupelian sediments of Central Europe is the oldest record of the genus in western Eurasia. Fagus migrated to Europe from the east (Central and East Asia) after the closure of the Turgai Seaway. 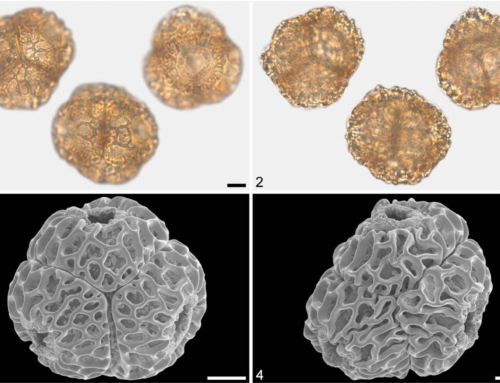 Pollen belonging to Quercus Group Ilex also marks the oldest record for Europe. Today, this group of oaks is endemic to Eurasia with isolated occurrences in the Mediterranean, the Himalayas, and East Asia. 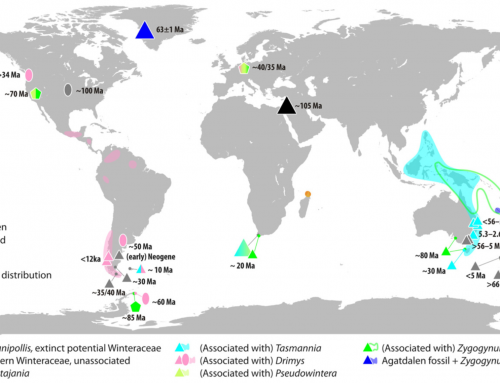 It is unclear, whether the group originated in Europe or East Asia. 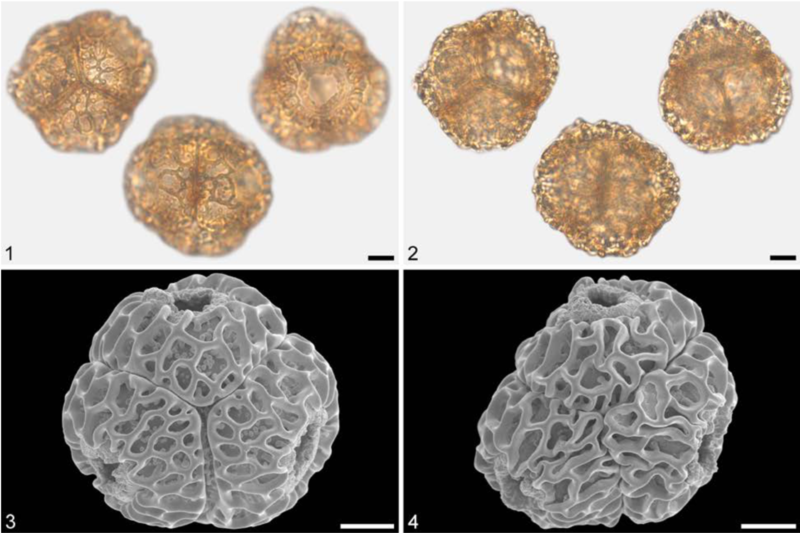 Pollen belonging to either Quercus Group Quercus or Group Lobatae (white and red oaks) dates back at least to the Eocene in Europe (Baltic Amber). 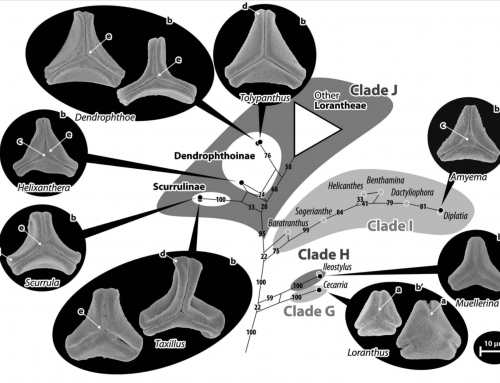 Based on systematic affinities of leaves from late Oligocene sediments in Saxony, pollen from Cospuden with the distinctive features of these infrageneric groups may represent Group Lobatae (red oaks). This group is at present confined to North America, but appears to be represented in the fossil record of East Asia and Europe.